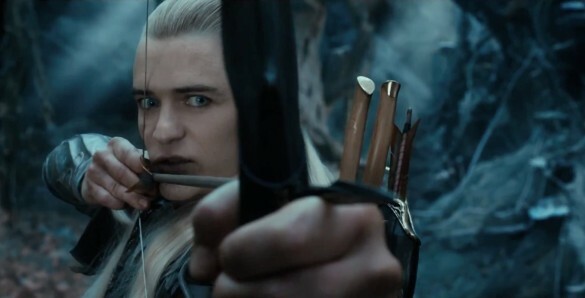 This week on the InSession Film Podcast, for our Top 3, we reminisce about our favorite moments from Middle Earth, a world that is fascinating even if you don’t like The Hobbit films. There are a lot of great moments involving Gandalf, Gollum, Bilbo, Frodo and so many other amazing characters from this world. It’s such an incredible place with a lot of great moments, so this week’s Top 3 was a lot of fun. “Toss me” – Gimli, Bilbo and Frodo, The goblin tunnels, Escape on barrels, Mount Doom battle, Frodo’s goodbye, Sam Wise speech after Helm’s Deep, Bilbo scene with Gollum, Arwen’s interaction with her father, also too many too choose from. Hopefully you guys enjoyed our lists and if you agree or disagree with us, let us know in the comment section below. Like we said, there’s too many to choose from and there are about a thousand other scenes we could’ve talked about. That being said, what would be your Top 3? Leave a comment in the comment section or email us at insessionfilm@gmail.com.